Across the globe, there are over 500 million Instagrammers -- more than 300 million of whom use Instagram every single day, sharing an average of 95 million photos and videos per day. Where do you get started with Instagram? 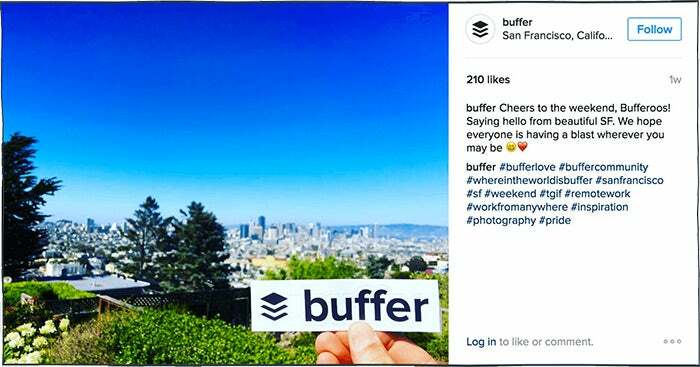 We recently launched one of our biggest product enhancements, Buffer for Instagram, to help you plan, track and amplify your Instagram marketing. 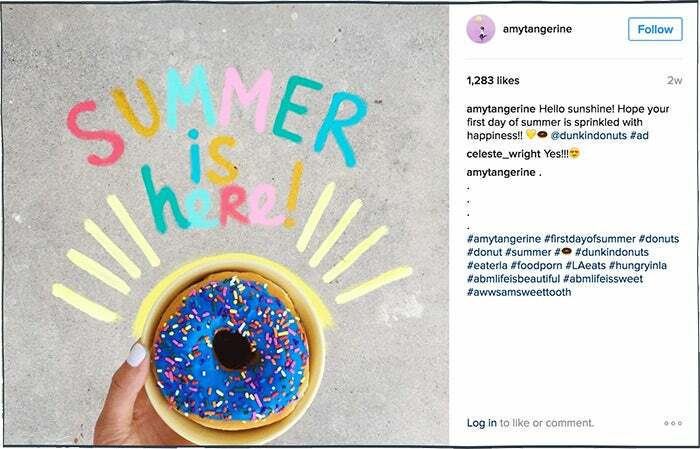 Everything you need to know to create a killer Instagram marketing strategy for your business. 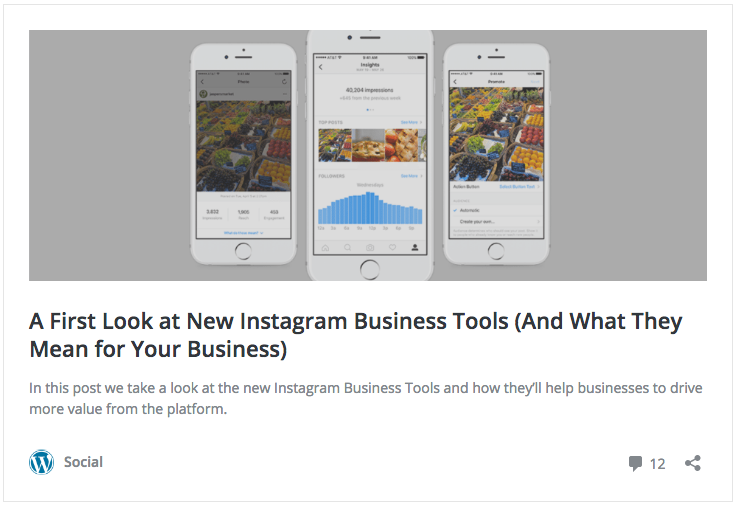 First things first: Why use Instagram for business? Boasting over 300 million daily active users, Instagram has huge potential for marketers. 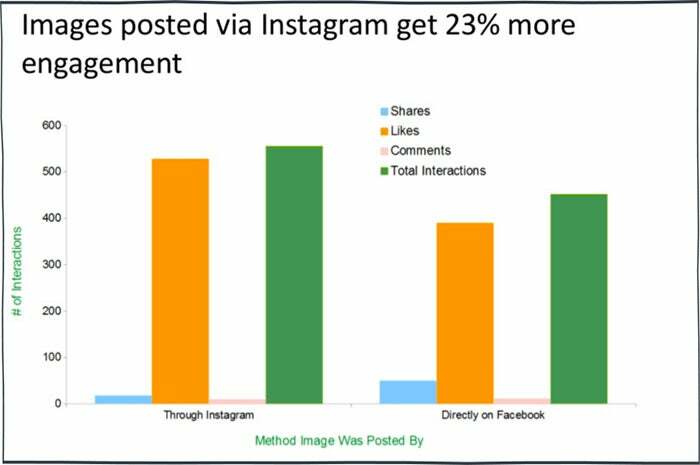 But the potential in Instagram lies more in the user behavior than the numbers. Instagrammers like to connect with brands. Social media has been proven to influence purchase decisions. And if you can find the right mix of content, your audience will soak it up -- and even buy from you -- without the need for a hard push or sales pitch. It’s the marketers dream. Still need convincing? Let’s take a look at what marketers have to say about the platform. When you combine together these ingredients, Instagram can deliver huge results for your business. Take Madewell, for example. 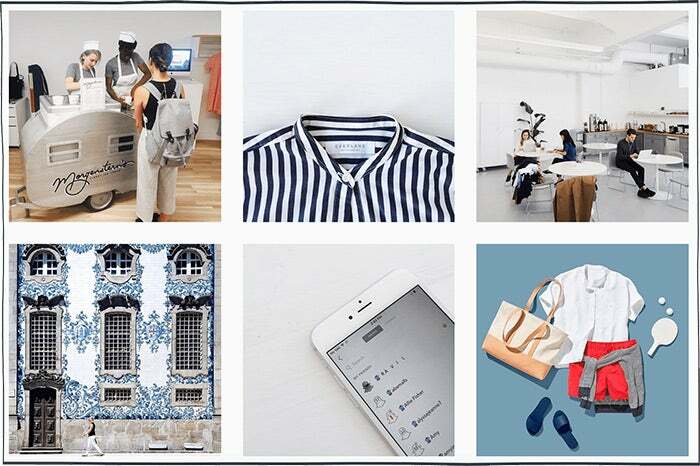 The fashion brand has amassed a hugely engaged audience on Instagram (over 700,000 followers and 7,000 to 10,000 likes per post). The platform has become a key marketing channel for them, enabling them to connect with thousands of potential customers on a daily basis. 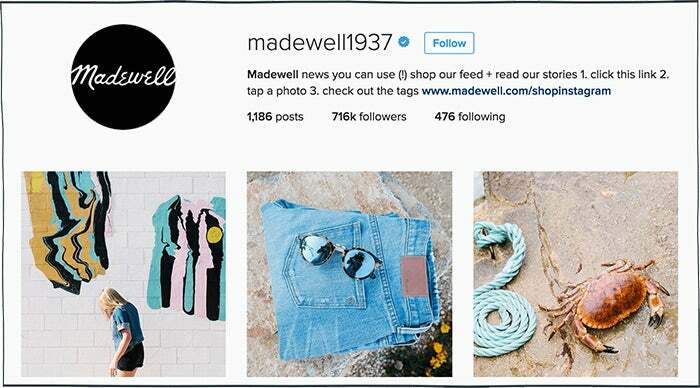 So, how do Madewell and other successful brands stand out on Instagram? We put together this guide to help you craft your own Instagram marketing strategy that’s based on a clear vision and results that you can measure. Why are you on Instagram? Choose 1-to-2 main goals. Whether you’re completely new to Instagram and preparing to share your first post or are already established and looking to boost your presence on the platform, it’s important to start with clear goals in mind. Setting goals will help you to define your strategy on Instagram and create content that will help you to achieve your targets. Here at Buffer we have two main goals for our Instagram marketing strategy. Our top goal is to build and nurture an engaged community of Buffer users and supporters. To ensure we reach that goal we have a set target of reaching out to and featuring the work of four-to-six Buffer community members per week. If we do that 52 weeks per year that’s between 208-to-312 people that we’ve connected with one-on-one. The second goal for our Instagram marketing strategy is to continually increase engagement on every one of our posts. Currently, our engagement rate (avg. engagement per post/number of followers) is about 1.75% which is a bit higher than industry standard. We’re focusing on producing the highest quality Instagram content so that our engagement rate stays at or above this benchmark. Which members of your audience are on Instagram? Search the demographics. Marketing is all about delivering the right message, to the right people, at the right time. And understanding the demographics of a platform is an important part of ensuring you’re hitting your target audience. 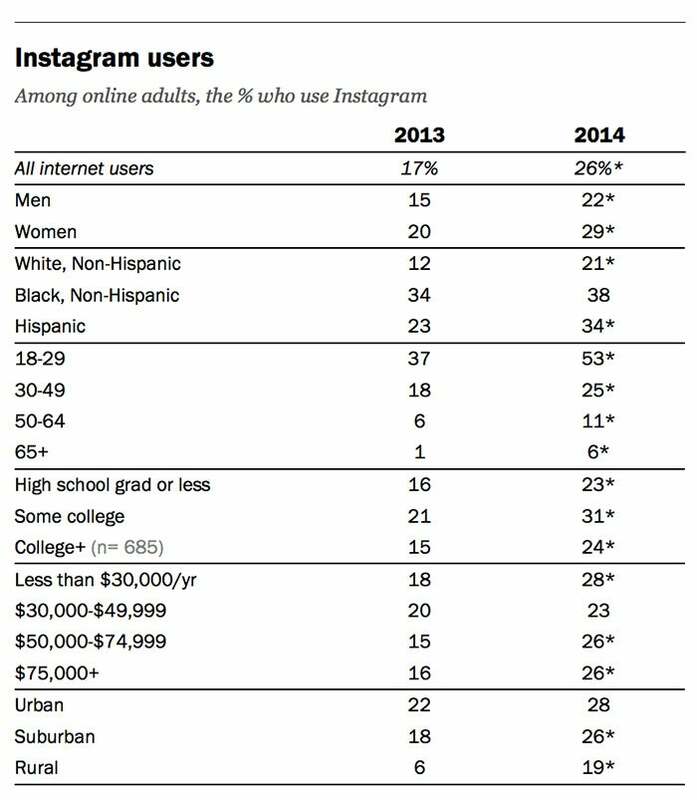 Pew Research released a breakdown of Instagram demographics and I’d love to share the key findings with you here. 53% of 18–29 year olds use Instagram. 25% of 30–49 year olds use Instagram. 11% of 50–64 year olds use Instagram. 6% of people 65+ use Instagram. 29% of online females use Instagram. 22% of online males use Instagram. 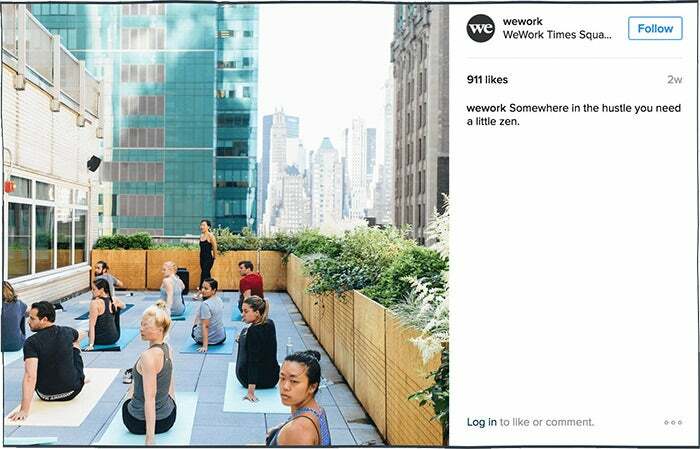 28% of Instagram users live in urban areas. 26% of Instagram users live in suburban areas. 19% of Instagram users live in rural areas. 31% of Instagram users have some college experience. 24% of Instagram users are college graduates. 23% of Instagram users are high school grads or less. 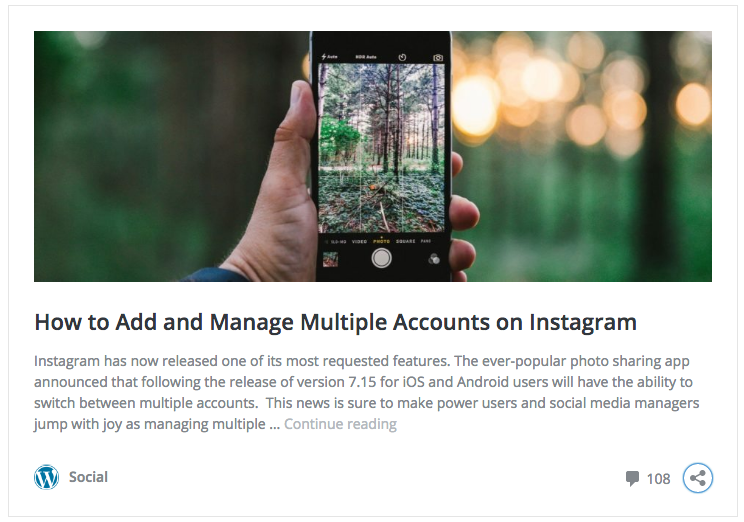 Now that you have your goals in mind and know which members of your audience are active on Instagram, you can get started on building out your presence on Instagram. First step: optimizing your profile. Your Instagram profile is essentially your homepage on the platform. It provides you with space to share a little information about your business and also gives you the chance to drive some traffic back to your website. 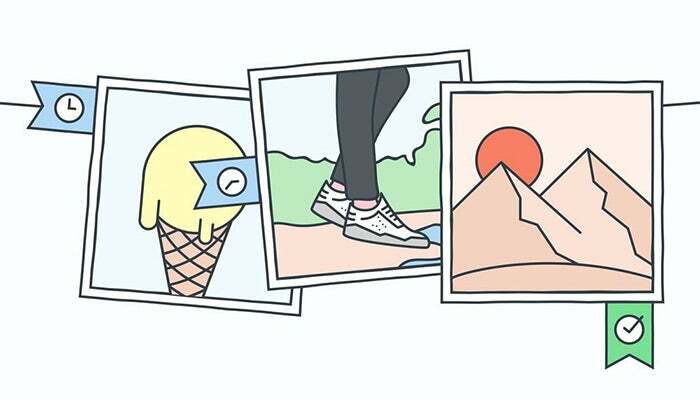 In this section, we’ll guide you through how to maximize your Instagram profile and drive as much value as possible from it. Some large brands also choose to include a brand hashtag within their bio (for example, Nike Basketball below). Unlike many other social networks, Instagram doesn’t allow you to add links to every post. Instead, you only get one link and that’s the one in your profile. 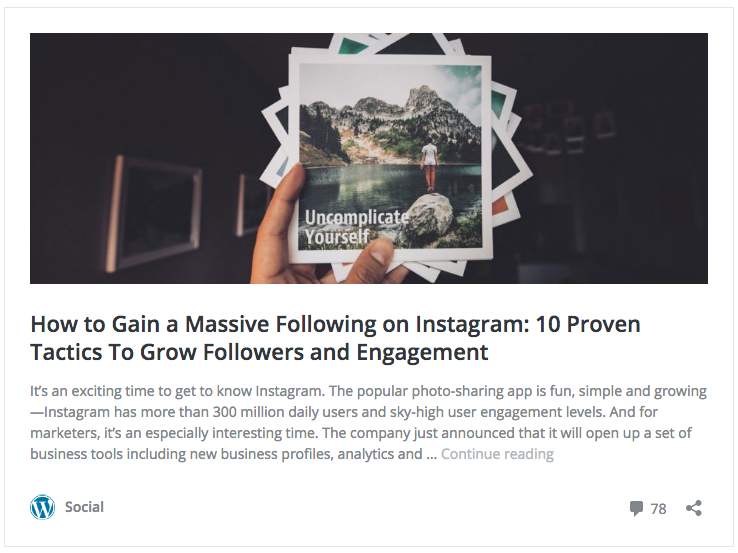 Most businesses tend to use this link to drive traffic back to their homepage, and this link can also be a key way to drive traffic from Instagram to campaign-specific landing pages or individual pieces of content. 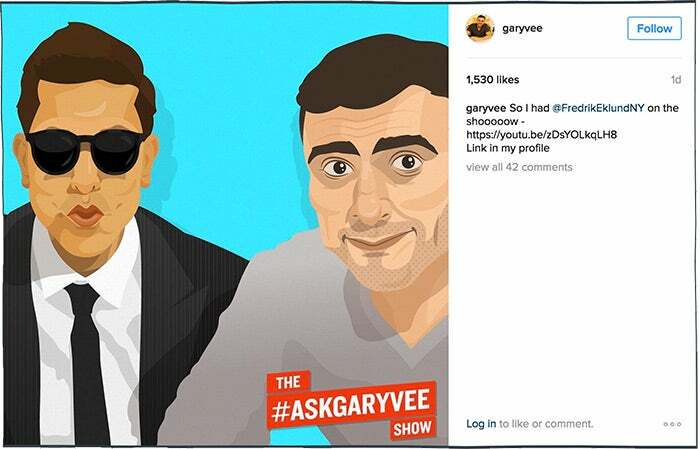 Gary Vaynerchuk does this to great effect on his Instagram feed. Whenever he publishes a new piece of content online, he’ll share a relevant image or video to Instagram and update the link in his bio to reflect it. Content is the heart of Instagram. The 95 million photos and videos shared daily to the platform are the reason more than 300 million people open the app every day. And content should be at the core of your strategy, too. But what should you post about? Before you get into thinking about your visual style, it’s good to have a clear vision for the type of content you’re putting out. 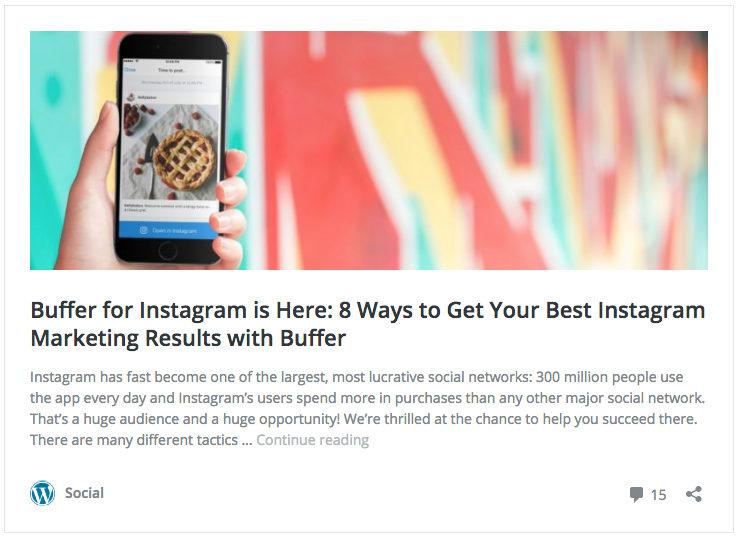 At Buffer, our Instagram marketing strategy is to post consistently quality content that aims to build Buffer’s brand while also connecting on an individual basis with our community members. We believe strongly in the power of one-on-one interactions and connections. In that spirit, we’ve created the hashtag #BufferStories which allows our community to tell a story about what they’re passionate about both personally and professionally. 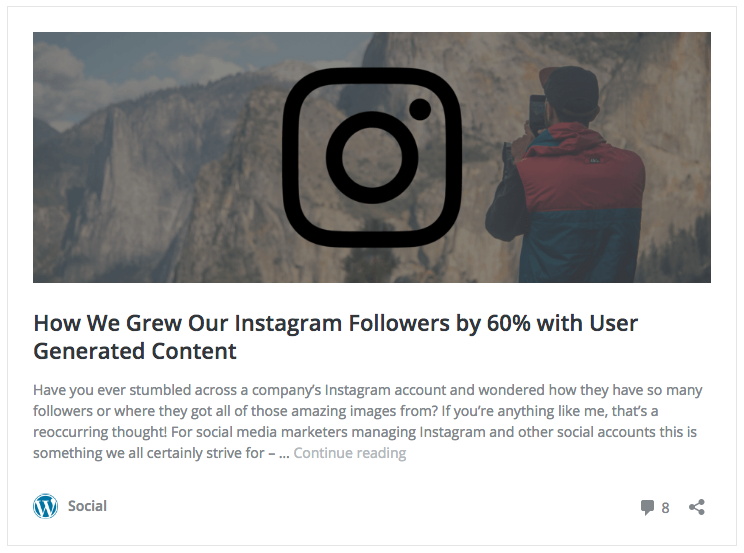 Instagram is a tremendous medium for short-form content, but there’s also the possibility for relevant, long-form content. Our audience has responded quite well to the passionate stories of others. There’s no hard and fast rule for the best angle to take when it comes to your strategy -- it’ll vary from business to business. What’s important is to focus on creating content that aligns with both your audience and your goals. This starts with defining your content pillars. The foundations of any strategy are built on solid content pillars or themes. Every business, no matter its size, industry or location has a wealth of potentially brilliant content to share on Instagram. Whether it’s stories from your employees, culture-focused content or product-led demos, there’s a whole host of opportunities and worthy subjects for your videos and photos. What I love to do when it comes to defining themes is to open up a notepad and throw around some ideas. Starting with some key company values, I then scribble down everything that comes to mind. 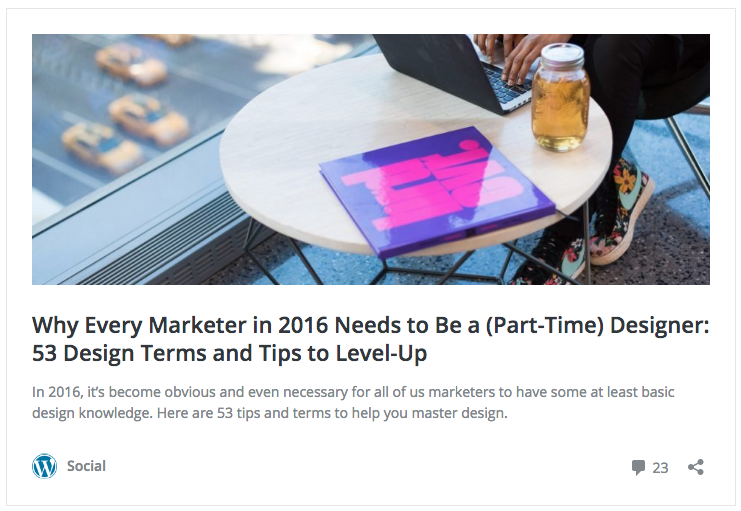 From these notes, you can then start to formulate ideas for your key content pillars. Saturday Night Live’s Instagram feed focus on two key pillars: Taking fans behind the scenes of the show and sharing exclusive clips. 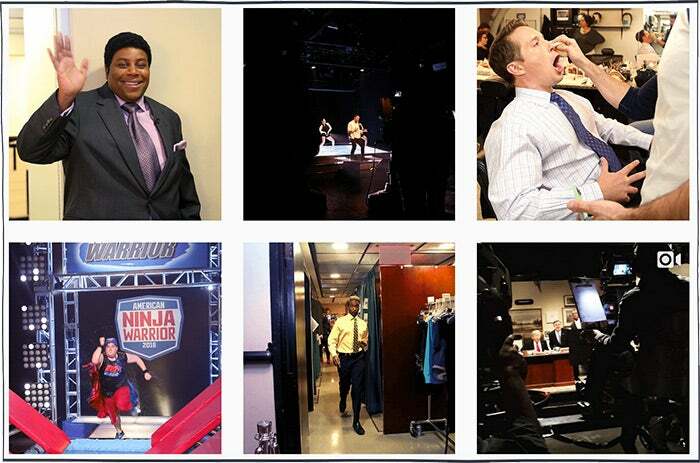 When fans check Instagram they can expect to see a fun-filled photo or video of their favorite SNL stars or get a sneak peek at what goes on behind the cameras to get the show out there. 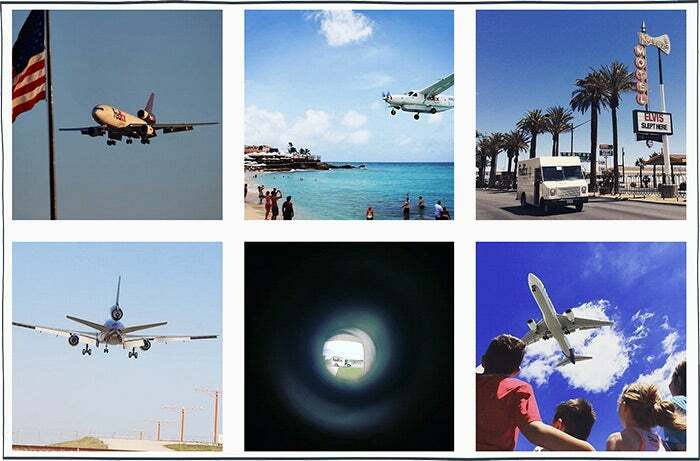 FedEx’s feed consists of photos based around the theme of FedEx’s delivery drivers, vans and planes out in the wild. they often feature images shared with them by followers, too -- a great way to keep their fans on the lookout for FedEx vehicles to photograph. Their feed also gives off a vibe of high-end, artistic photography. 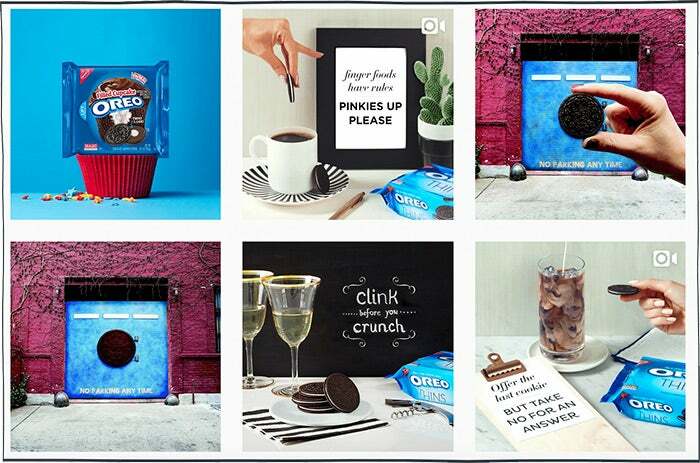 Oreo put their product at the heart of their Instagram content and manage to do so in a way that’s fun and highly engaging. 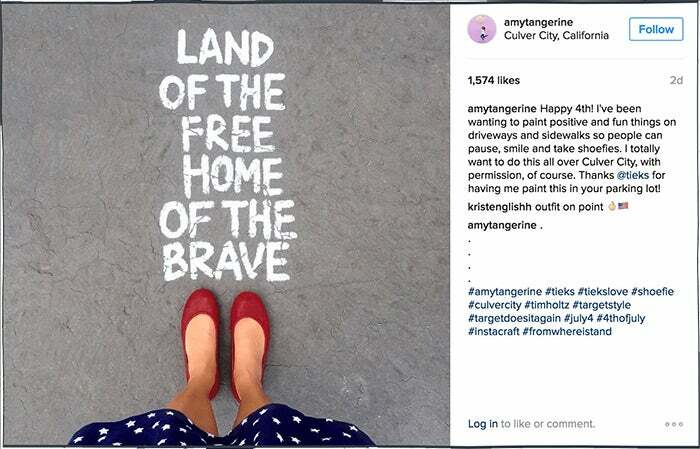 They often use entertaining copy within the images themselves and use solid, vibrant backgrounds to make their posts stand out within the Instagram feed. Once you have your content themes in place (you can always test and adapt themes to see what works best), it’s time to bring it all together into a content plan. A content plan should help you define the style and aesthetic feel of your posts, alongside how frequently you’re going to post to Instagram. 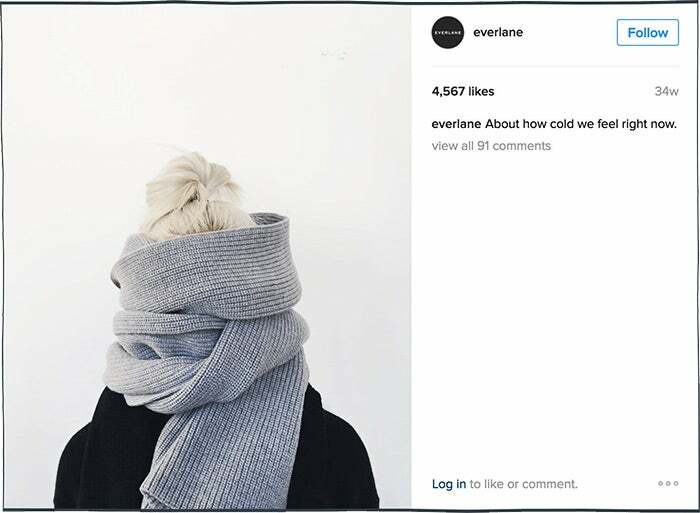 Let’s begin with a look at how to create your Instagram style guide. One of the most important parts of any social media strategy is the style guide. Why are they so important? They ensure consistency across all marketing channels and throughout every piece of content you produce. Composition refers to the placement or arrangement of visual elements or ingredients in a work of art, as distinct from the subject of a work. Not every marketer is an expert photographer, so it can be great to define a few quick composition rules. Amy Tangerine, a company that shares “a slice of the sweet life” through an array of scrapbooking products and lifestyle services, is a great example of a clear visual style and composition. Its posts often feature a solid background color or texture allowing the focal point of the composition to stand out clearly. Picking out a color palette will help keep your feed consistent and focused. Having a palette doesn’t mean that you can strictly only use these colors, but it will help your posts have a nice consistent, familiar feeling. It can feel great to keep your color palette in line with other areas of your brand, too. If you’re going to post quotes or text overlays on your Instagram images, you should try to keep the fonts consistent with your brand by choosing the same fonts you use on your website or other marketing materials. Headspace is a great example of keeping fonts consistent across posts. The mindfulness app regularly shares text-based posts, and by keeping the font in-line with the rest of their brand, followers can instantly recognize Headspace’s content within their feed. Instagram filters can make amateur photographers feel like pros. And if you don’t have high-end photography equipment or editing software, they’re a great way to enhance photos with just a few taps. Filters can drastically change the look and feel of a photo or video, so it’s important to use only a few that you feel best represent your brand -- and stick to the few you’ve chosen. Using a different filter for every post can quickly make an Instagram feed feel a little disjointed. Instagram captions are limited to 2,200 characters, and after three lines of text they become truncated with an ellipsis. Captions are a chance to enhance your content further and there are plenty of ways brands use them. Some choose to treat captions as a place for sharing stories and micro-blogging, others use them to add a short, snappy headline to a post and others use captions to ask questions and encourage replies. The possibilities are endless. What’s important is to ensure the copy is aligned with your brand. 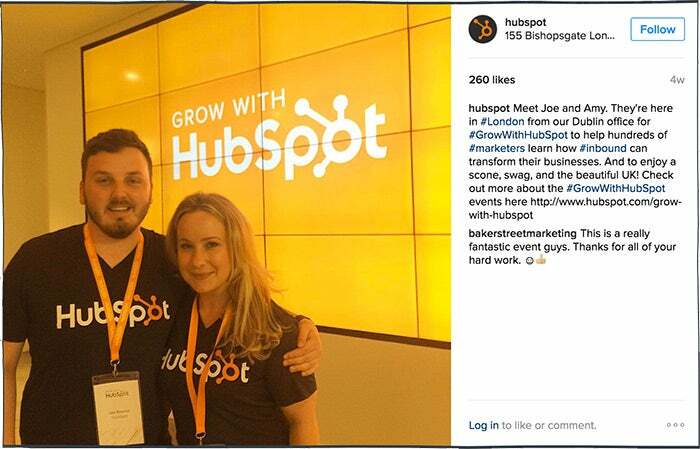 Hashtags have become a uniform way to catagorize content on many social media platforms. 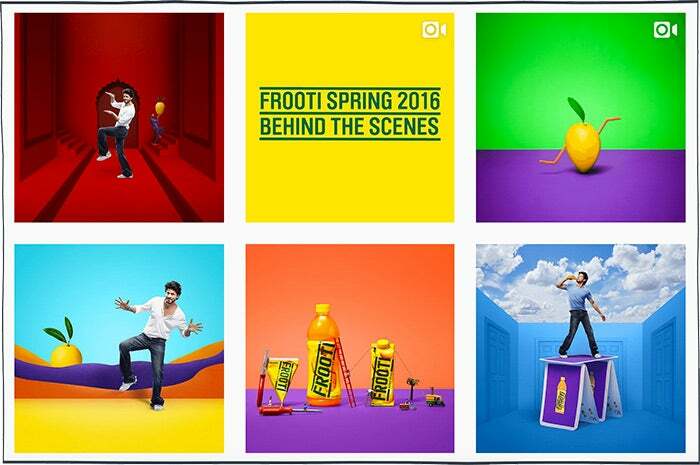 Hashtags allow Instagrammers to discover content and accounts to follow. 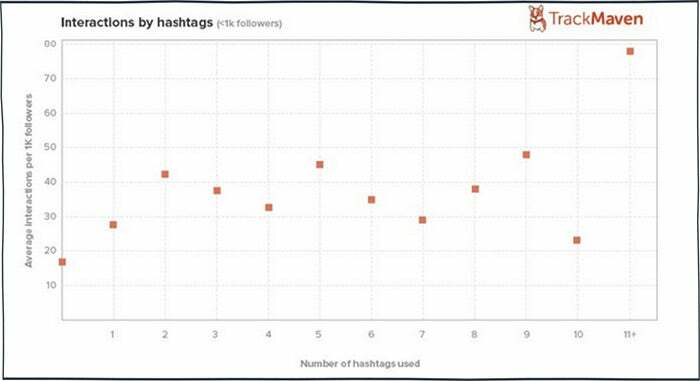 Research from Track Maven found that posts with over 11 hashtags tend to get more engagement. When it comes to choosing the right hashtags for your content, it’s best to do your research and see which hashtags people in your market are using and which are most active. To help provide you with some creative inspiration, we’ve curated a group of 47 super-talented artists specializing in a range of disciplines. Follow these insanely accomplished artists and designers to stay ahead of the curve and inspired day-after-day. There’s a lot to be said for consistency on social media. Consistency and publishing frequency can help your audience learn when to expect new content from you, and keeping a consistent schedule makes sure you maximize engagement without hitting any lulls or stretches without updates. 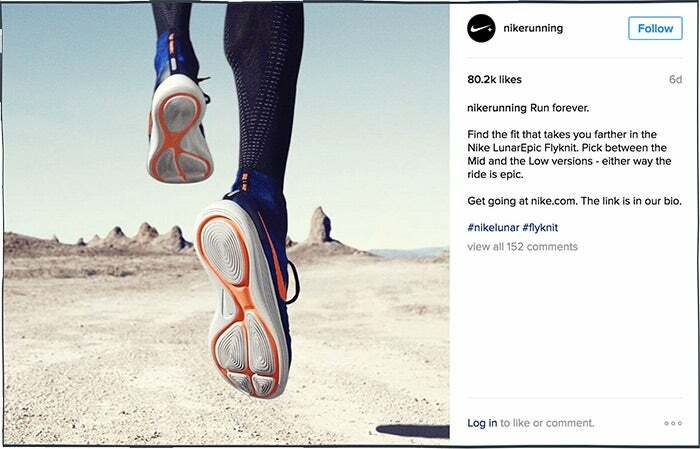 A study by Union Metrics found that most brands post to Instagram daily. In fact the average was 1.5 posts per day. The study also found -- and this was really interesting -- that there was no correlation between increased frequency and lower engagement, meaning brands that posted more than twice per day didn’t see any ill effects. Our best advice here is to aim to post at least once per day on Instagram and experiment with additional posts to find what works best for you. 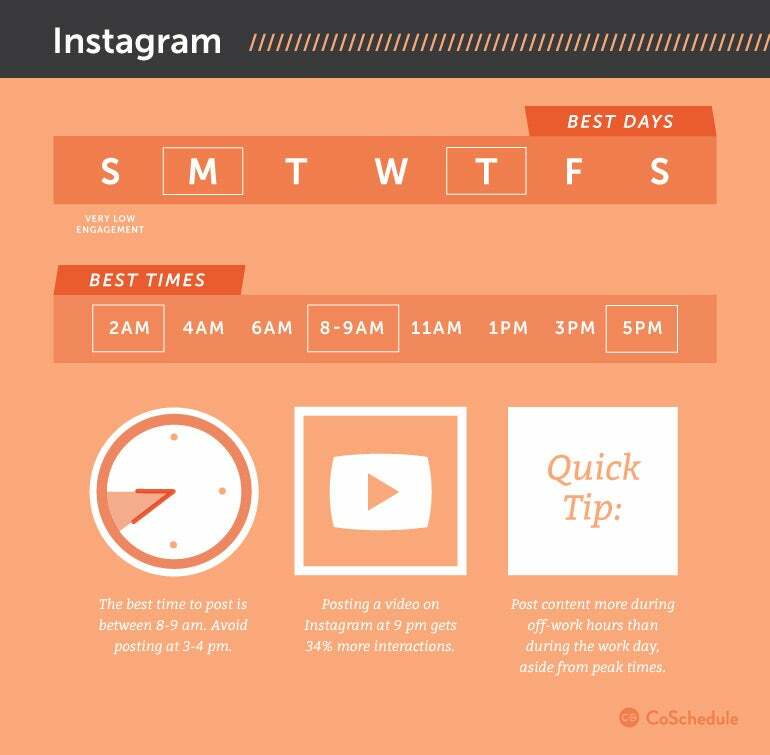 What time should you post to Instagram? 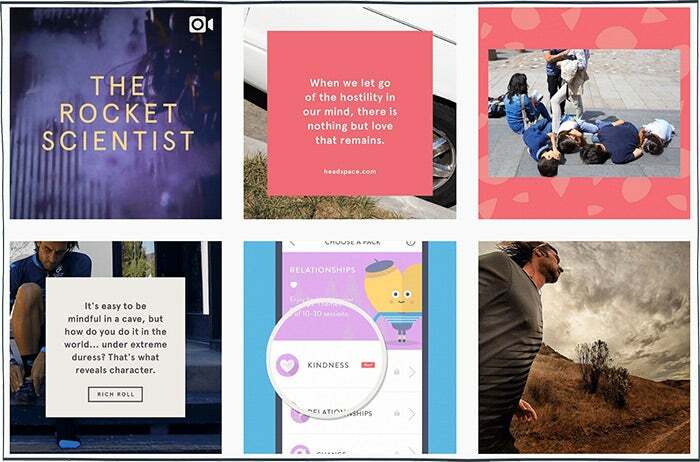 With Instagram’s recent change to an algorithmic timeline, timing is now one of many elements considered by the algorithm when it decides what content to show you. So it’s important to post at the times when your content is likely to pick up the most engagement. Our hunch here is Instagram’s algorithm may then determine this post should appear near the top of your follower’s feeds. It could be best to treat these best practices as guidelines and times to test out since the best time to post can rely on a bunch of factors and vary from profile to profile. For example, we’ve found that our best time at Buffer is 11:00 a.m. Pacific. Once you’ve determined your content themes and the frequency at which you’d like to post to Instagram, one of the best ways to ensure you stick to your strategy is to create a content calendar that tracks which posts will be shared and when. Find, edit and upload a beautiful picture to Buffer. Add a caption with hashtags, mentions and emoji. Schedule for the ideal time. 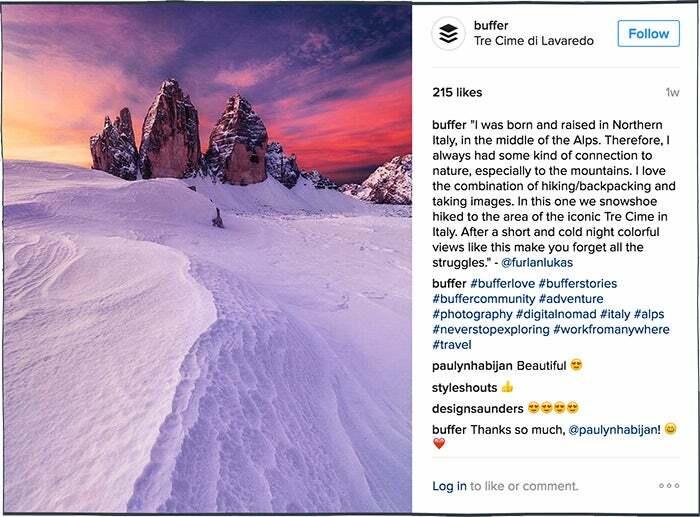 Buffer for Instagram works by adding a post through Buffer and having a reminder pop up on a user’s phone when it’s time to send it out. 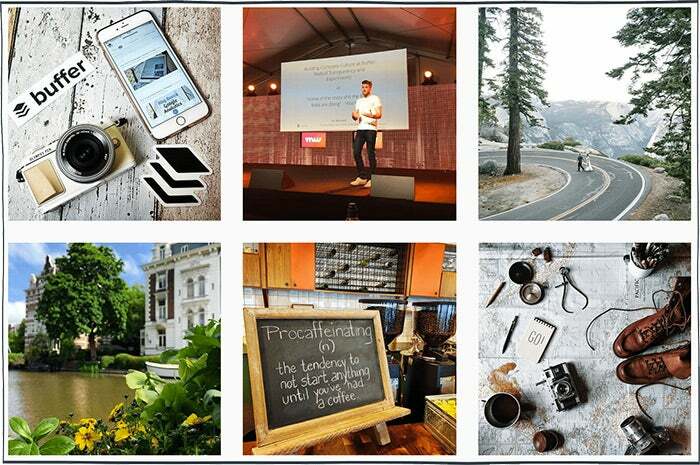 Instagram users provide a wealth of potential content for your business. Curating content from your followers can help you to build a vibrant and engaged community and user generated content can also incentivize your audience to share their own creative ways of interacting with your products, services or company. Tracking your performance and results is essential to any social media strategy. This enables you to decipher which types of content your audience finds most engaging and allows you to optimize your strategy as you move forward. Paying close attention to your audience growth, and the number of likes and comments your posts receive will give you clues as to what’s working and what could maybe be improved. If you’d like to dive even more in-depth, you can work out an engagement rate for each of your posts. The engagement rate is calculated by taking the number of likes + comments and dividing that number by the number of followers your account had at the time of posting. 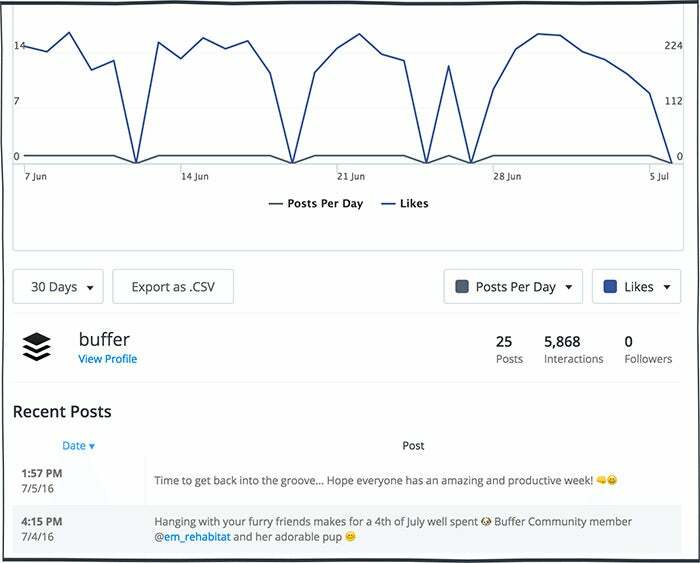 Buffer’s analytics enable you to check in on your key metrics for networks like Facebook, Twitter and Instagram. 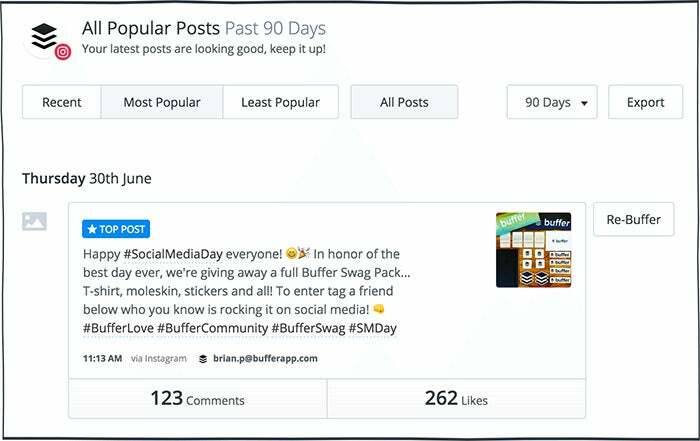 With Instagram analytics on Buffer paid plans, you can sort every post by the most popular, most likes, and most comments. You can also select any custom timeframe or from presets like 7, 30, or 90 days. This is a fantastic way to keep an eye on trends and what’s performing. Analytics can help you judge the effect of your content, schedule and frequency of posting on Instagram and measure how it affects important Instagram metrics such as likes and followers. As you progress with your Instagram marketing strategy, you’ll begin to notice some trends and what types of content help you to reach your goals. It’s never easy to build a loyal, engaged following on any channel, but with the right approach and enough experimenting you’ll find a great fit for your brand.